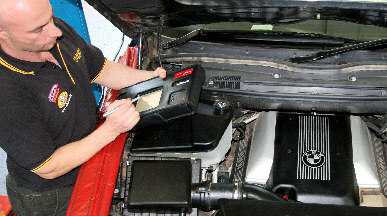 Established for over 30 years in inner west Rozelle, MM Balmain Auto Repairs has proven to be one of the leading Sydney European car diagnostic and repair service centres. We're committed about providing you with high level of expertise, precision repairs and outstanding customer service. Our service centre is well-managed and fully equipped to handle today's modern vehicle, we pay strict attention to detail, and are consistently able to get your car back on the road safely and promptly at an affordable rate. 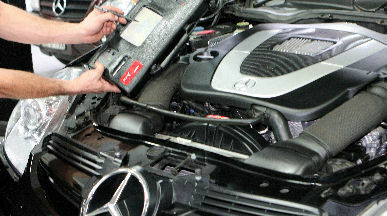 We use the most up-to-date European Auto-Logic diagnostic scanner equipment to communicate with your vehicle's ECU (on-board computer) to extract fault codes, diagnose faults, reprogram, update software, key coding and addaptions. We call to explain what's required & provide a repair cost estimate for your consideration. Whenever a warning light is on; engine check, air bag, ABS, or transmission, your vehicle may require urgent attention. We can promptly diagnose and report on any of these faults. Precision service & repairs to European vehicles inc Mercedes, BMW, Porsche, VW, Audi, Saab, Peugeot & Jeep Cherokee. 'FREE' 6 months Aust-wide roadside assistance with every service!